Silver Threads of Happiness: Ta-dah! A while ago, I posted about beginning this project which I couldn't show you in it's finished form because it was for a private swap I was doing with a very lovely girl I met on blogland, Christie of Describe Happy. Well, it arrived at her place the other day so it has got me out of my blogging funk and got me posting! 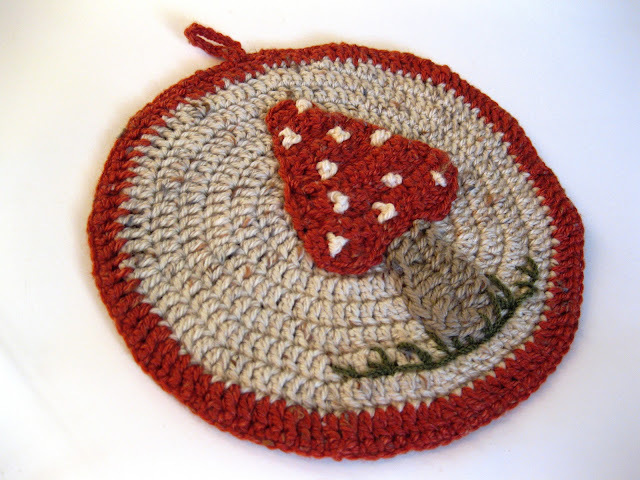 I saw this pattern on Ravelry for the mushroom (although mine turned out a bit more toadstool-ish), which I recently joined (you can find me here) and thought it was just so adorable. Christie and I originally bonded over our love of all things forest and mushroomy so I thought this would be perfect. I started off doing a square base for the pot rest part but it really wasn't working for me so I unravelled and found a pattern for a circle done in spirals. Much neater looking! Unfortunately I didn't do an especially good job of centring my mushroom on the base and some of my french knots are a little bit iffy but overall I was really pleased with the result. Pleased enough that I plan to make another one for my kitchen but with a blue background. 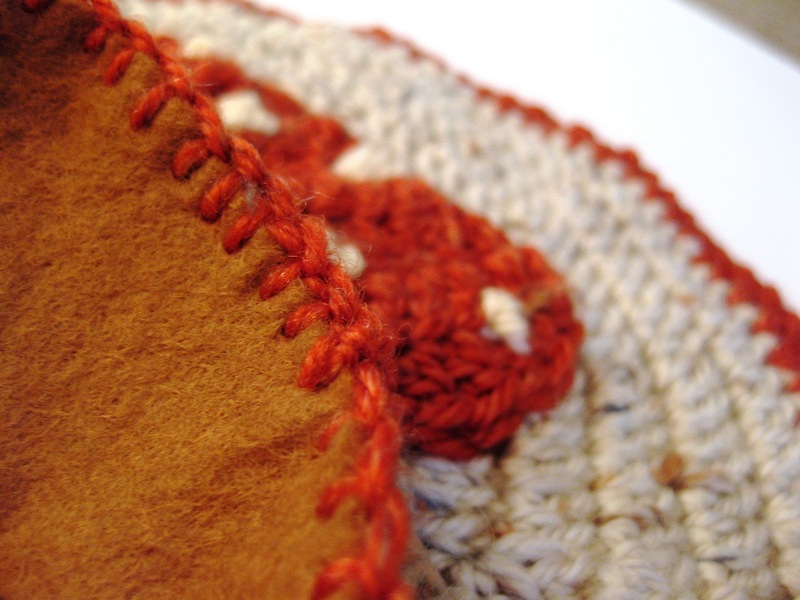 I attached some brown felt to the back with possibly the neatest blanket stitching I've ever managed to do and it was all finished. Lovely! 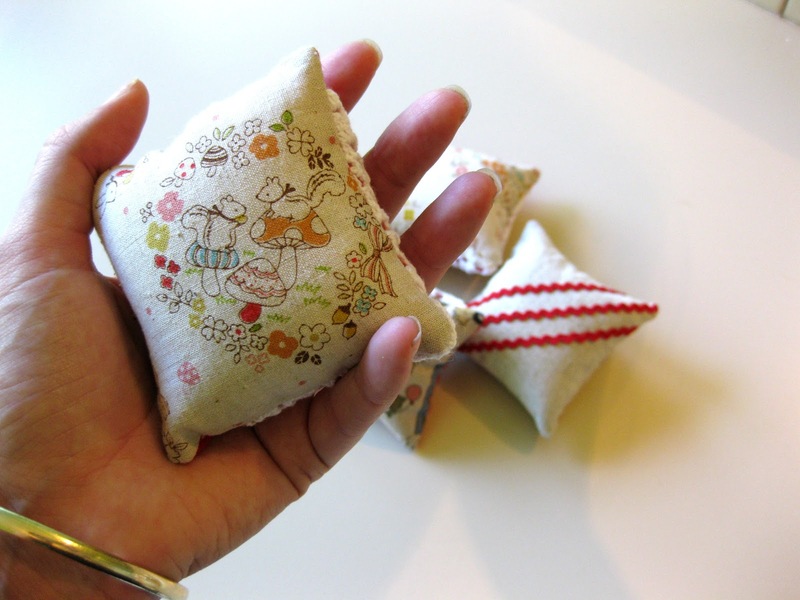 Our swap started off with Christie seeing these pincushions I had made on my blog and commenting that she thought they were cute so I offered to make one for her. 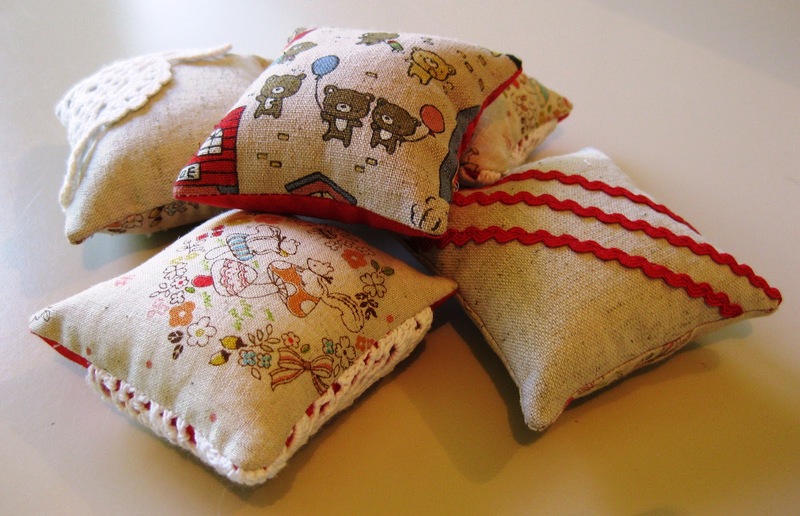 They are only itsy bitsy pin cushions so I sent her two. 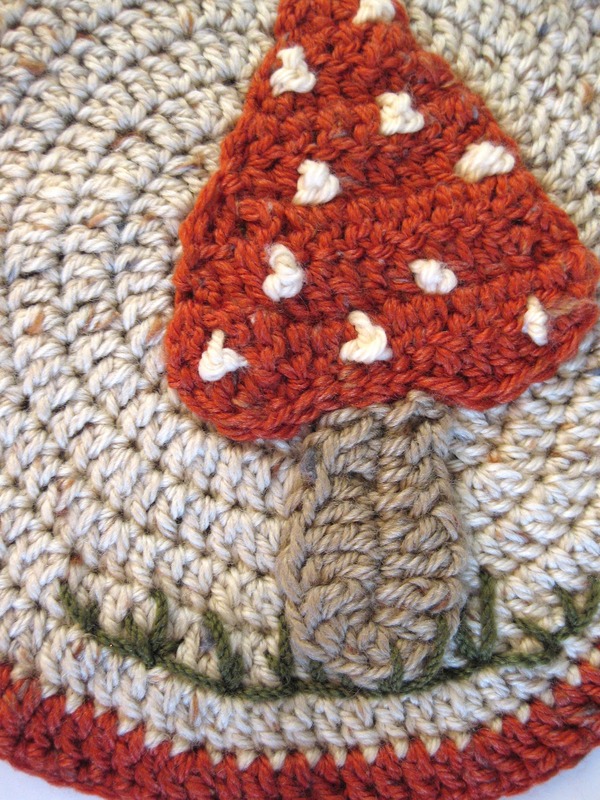 Really adoring the mushroom wall hanging!!! In fact I love all it's uniqueness and that it was made with love. I hung it in my sewing room so I could see it every day... I should post a picture to show you. Thank you again... it's one my favorite arts on the wall! Oh Megan that pot holder is awesome, love, love, love it! Swapping if fun and those swaps are lovely! Those pin cushions were/are super cute... as is the mushy pot holder. Uber ace for sure. No stop immediately finding fault with your beautiful work. I love the mushroom and it is all round cute as a button!! Nice felt backing and blanket stitch! !